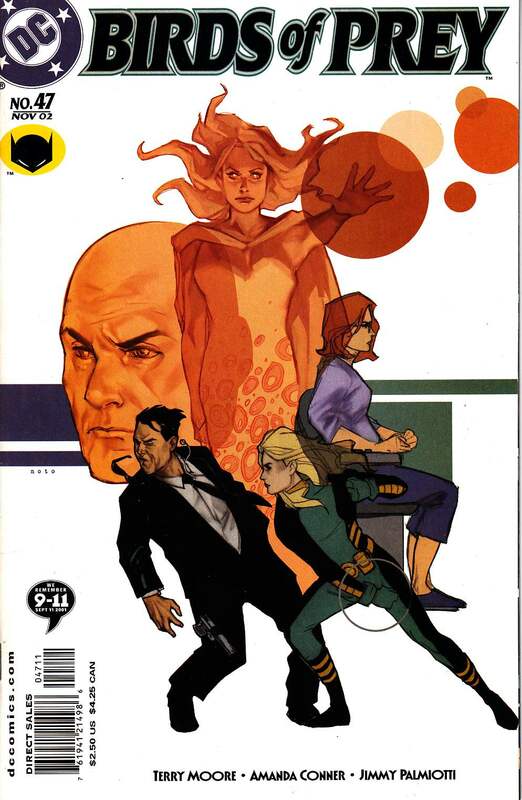 WRITTEN BY TERRY MOORE; ART BY AMANDA CONNER AND JIMMY PALMIOTTI; COVER BY PHIL NOTO. Critically-acclaimed creator Terry Moore (Strangers in Paradise) writes a 3-issue arc! Meet Heartache ? a genetically-gifted young woman who can alter and correct problems in any person she touches. Imagine what happens when it's Barbara's hand she holds, and the gift of mobility is granted once again to Oracle! This arc features the artistic talents of Amanda Conner & Jimmy Palmiotti (CODENAME: KNOCKOUT).